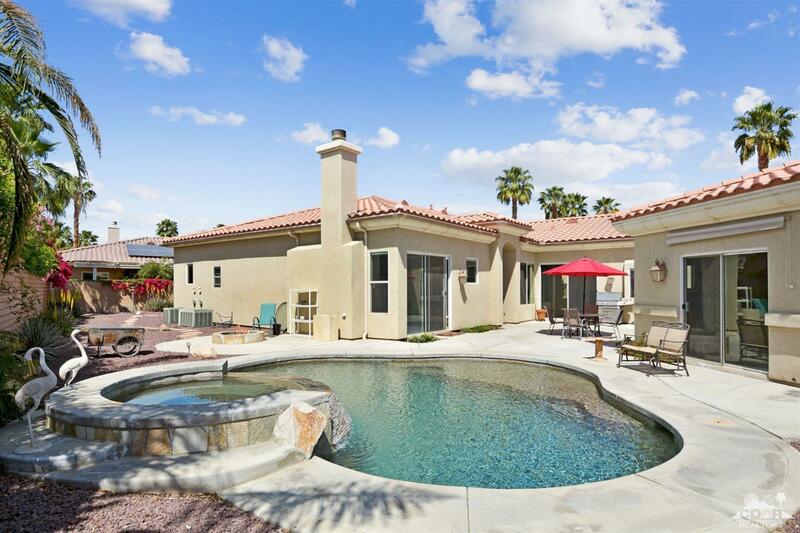 Now Accepting Back Up Offers...Beautifully maintained home in highly desired community of Lantana, located in central Palm Desert. This lovely home features four bedrooms, one presently being used as a den and three baths. Enriched by travertine tile throughout, this home is offered turnkey furnished (per inventory). 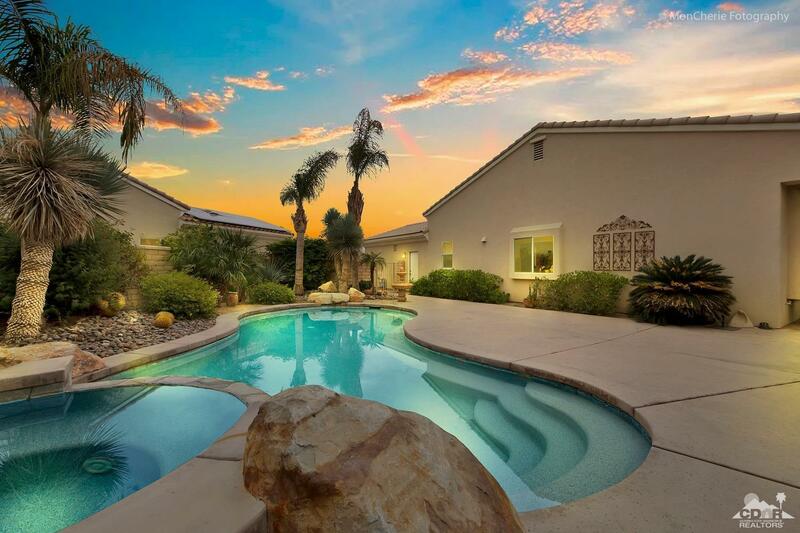 Situated on lot at the end of a quiet cul de sac, the pool is the focus of a large outdoor entertaining area. Granite countertops, upgraded decor, custom iron and stone work, shutters and custom window coverings - all make this a house to see!